Let me start by saying that technically, goats can eat just about anything. 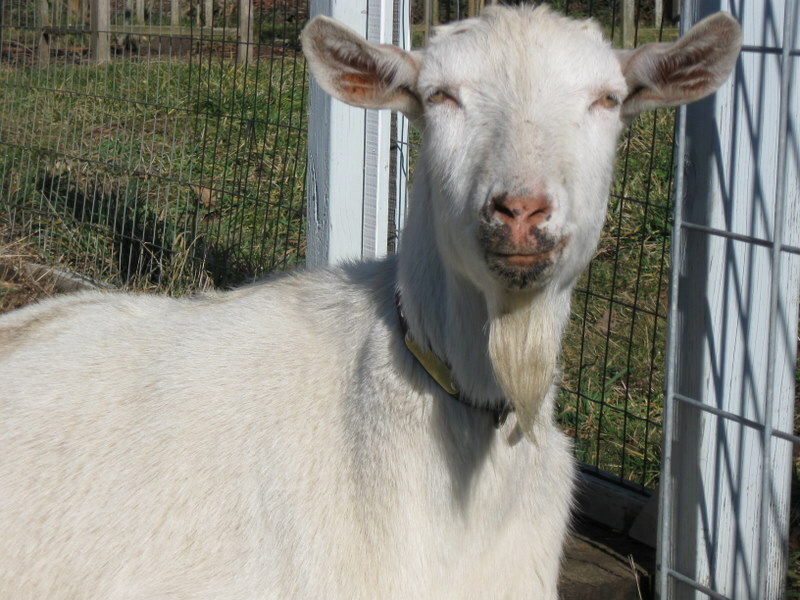 Goats have almost no tastebuds, so they can eat things that many other animals won’t touch. However, goats really shouldn’t eat just anything and definitely shouldn’t be left to eat “whatever is around”. I know dogs that eat socks. Makes no sense what-so-ever, but they do it over and over. Somehow the goat got labelled as being able to eat anything and that has turned into people thinking that it’s okay to feed goats (or let them eat) just anything. Goats are really browsers rather than grazers. Sure, they’ll eat grass if that’s all that’s available, but left to choose for themselves, they select a wide variety of foods. 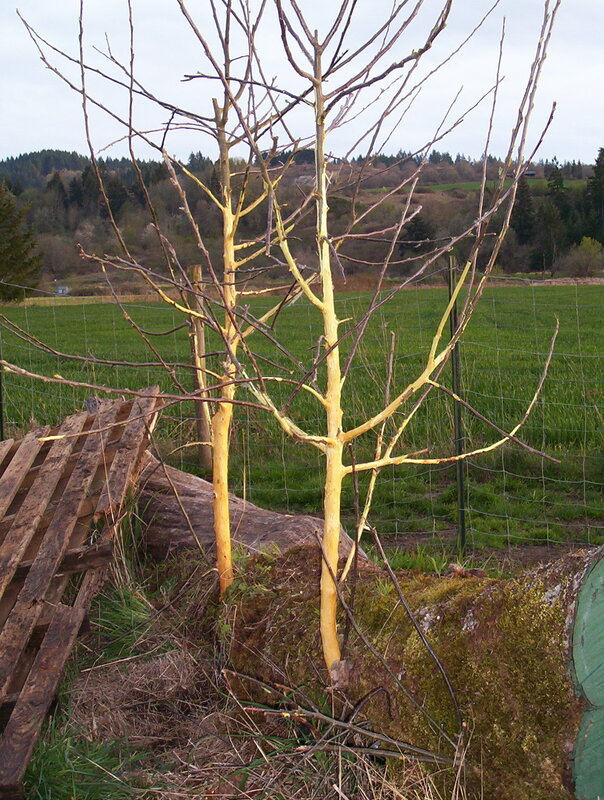 Tree bark is an absolute favorite, especially your prized, young apple trees. Goats love the bark, the sap, and the apples. In eastern Oregon, where Ponderosa Pine is prevalent, my goats will spend hours nibbling the sap off the pine bark until their faces are black with pitch. In the winter, I feed them unsold Christmas trees. There are also a surprising number of plants that are toxic to goats. A common household shrub called Andromeda (photo) is deadly. Half of one leaf can kill a goat and the treatment is an adventure in and of itself. The goat medicine book says, “place 2 tablespoons of salt on back of tongue to induce vomiting; then give activated charcoal.” Whatever. This is a good time to mention that goats have teeth. The ones in the front are relatively small, but the ones in the back are seriously sharp. Lose your finger sharp. And my goats are all over 200lbs each. You can easily end up as the local guy with nine fingers by the time you’re done trying to access the back of the tongue on a goat. But, supposing you get past that part and the goat barfs (now there’s a smell like no other…nothing like rotten grass to perk up your nostrils), you then get to look forward to force-feeding him charcoal. I don’t know anyone, man or beast, who likes to eat charcoal, taste buds or no taste buds. You could be the eight-fingered guy after step two. There is a little better remedy for your poisoned goat: mix up 1/4c molasses, 2 – 3 tablespoons epsom salts, 1 tspn ground ginger (ever see those YouTube videos of people eating cinnamon? ), 1 tspn baking soda, and 1tspn salt. Fill the jar with water, put the goat in a headlock, and use a giant syringe to force this world’s worst diet drink down the goat’s throat. While all of this going on, the goat is screaming like you’re trying to kill him with a fork. More good times. If you’re real lucky, he won’t die or kill you in the process. Best to practice using a syringe with eight fingers just in case. This entry was posted in Hunting, Packgoats and tagged adventure, bowhunting, goat, goathunter, hunting, outdoor, will a goat eat anything. Bookmark the permalink. When are you going to start doing reviews? You have a fabulous way of making the reader See, Smell and Hear.! I look forward to more of your Posts. Thank you for making me laugh out loud this early in the am. You had me laughing so hard while drinking my morning cup of coffee. I just about spit the drink up all over myself!